Joanne has very considerable experience of arbitrations and expert determinations, having acted in a substantial number of cases resolved by these means in recent years. She is familiar with all aspects of the procedures involved. Joanne accepts instructions to act as an arbitrator or independent expert in fields in her specialist practice areas. She also advises non-lawyer arbitrators and independent experts, such as chartered surveyors, on legal issues and routinely acts as an advocate in arbitration or expert determination proceedings, whether conducted on paper alone or through an oral hearing. She is a member of ARBRIX and has spoken at the annual INDEX conference. 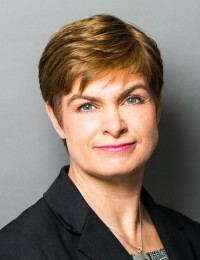 Joanne is also an accredited mediator and particularly familiar with mediation of property and professional liability disputes. She brings to this role her specialist legal knowledge, her understanding of commercial realities and a deep appreciation of the extent of the risks undertaken by those engaging in litigation. Joanne is willing to offer early neutral evaluations, to assist parties in resolving their disputes without litigation. Acting as legal assessor to a surveyor expert on an overage dispute. Representing a client in a multi-million pound damages claim decided through expert determination, following the client’s termination of a development agreement. Appearing in court to challenge an arbitration award on the price payable under a pre-emption clause. Successfully mediating a commercial landlord and tenant dispute in which the relationship had completely broken down. Acting as advocate in an expert determination as to whether the client had reasonably refused its consent to an agreement under s.278 of the Highways Act 1980. Drafting written submissions to an independent expert in relation to an issue of contractual interpretation affecting the date by which building works on a retail park were to be started and completed. Appearing in court to resist a tenant’s claim to set aside a rent review arbitration award on the grounds of serious procedural irregularity and on a point of law.